There was a period (between October 2016 until her return late last year) when it looked like Paige's WWE career might be in trouble. A toxic relationship with ex-WWE star Alberto Del Rio, one that was newsworthy for all the wrong reasons, must have been wearying on her employers, and Paige's ongoing injury woes didn't help either. 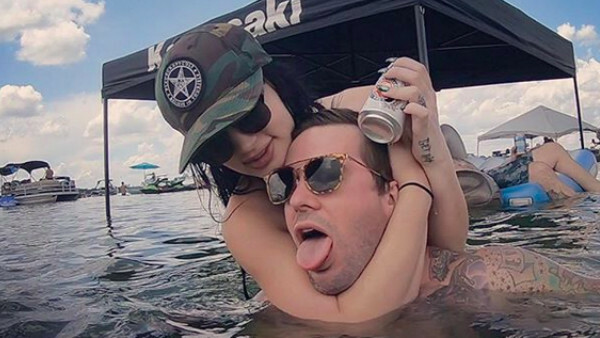 Now, despite having to retire as an active wrestler, Paige is in a much better place mentally than she was just one year ago. Maybe that's because she has a new man who, thus far, has been able to stay out of the media's watchful gaze. Though maintaining a private, healthy relationship when out on the road and in the public eye must be difficult, there are some budding romances in the wrestling world that may have slipped under your radar. Everyone knows about the established ones, like Triple H and Stephanie McMahon or Rusev and Lana, but there are other, less pronounced relationships in WWE and beyond.